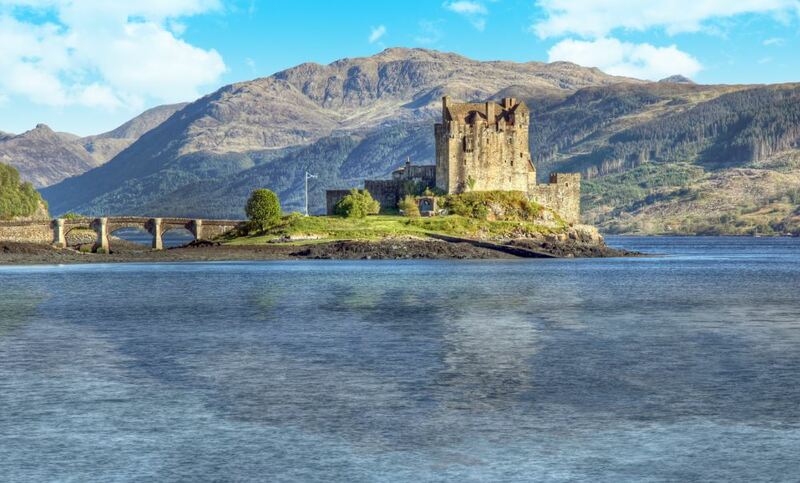 Explore coastal Ireland and the British Isles on this fascinating cruise. Walk the Royal Mile from Edinburgh Castle perched high on the hill to the 17th-century Holyrood Palace, the British Monarchy’s official residence in Scotland. Delight in vibrant Belfast’s ornate Victorian and Edwardian architecture, gracious gardens and friendly pubs. While in Liverpool, visit The Merseyside Maritime Museum – don’t miss the exhibitions at The Beatles Story, taking you on a journey through the lives and times of the Fab Four. And tour 16th-century Trinity College in Dublin, afterward stopping for a pint in the local pub. LONDON/SOUTHAMPTON, ENGLAND – Embark the Norwegian Spirit and begin your British Isles cruise adventure. EDINBURGH (NEWHAVEN), SCOTLAND – Make sure you pack your walking shoes for Edinburgh. Stroll along the medieval Royal Mile to the Palace of Holyroodhouse to see the abbey and Queen Mary’s chambers. Savour the old town’s marvellous Georgian and Victorian architecture. Marvel at the impressive Edinburgh Castle, high on its volcanic crag with a fabulous view. Visit St. Giles’ Cathedral where John Knox once preached. Leave enough time to rest your legs at one of Edinburgh’s seaside restaurants to enjoy fresh salmon, scallops, lamb and prime Angus beef. INVERNESS (INVERGORDON), SCOTLAND – Inverness is a city in the glorious Scottish Highlands. Teeming with bagpipe players and enthusiasts thanks to the city’s annual Northern Meeting in September, Inverness also boasts a diverse music scene. Gaelic was the native language until the turn of the 19th century. KIRKWALL, ORKNEY ISLES – This starkly beautiful island holds many ancient treasures like the mysterious Standing Stones of Stenness and the 5,000-year-old village of Skara Brae, which was discovered with the furniture and indoor drains preserved. Make sure to visit the striking trio of St. Magnus Cathedral, the nearby ruins of the Earl’s Palace and Bishop’s Palace. After touring, stop in a pub to chow down on salmon and lamb dishes with the locals. And ask them about the wide range of Kirkwall’s specialty items, which includes cashmere, whiskey and crafts. GLASGOW (GREENOCK), SCOTLAND – Cruise ships follow the River Clyde into the centre of one of the most exciting cities in Great Britain. Glasgow showcases a mixture of architectural gems, from ancient castles and a magnificent 12th century cathedral, to the urban chic of revitalized neighborhoods featuring cutting-edge bars and restaurants. DUBLIN, IRELAND – Explore the Dubliana exhibit to see Dublin life from 1170 to 1540. Ireland’s thriving yet elegant capital sits at the mouth of the River Liffey. Visit a castle. Take a walking tour. Shop O’Connell Street. Have a pint at the Guinness Brewery. CORK (RINGASKIDDY), IRELAND – Ringaskiddy is your gateway to Cork, a city brimming with history and culture and is located in one of Ireland’s most stunning settings. Situated on the River Lee, which splits into two channels, Cork’s city centre is split into islands. Bridges crisscross the city leading to many intriguing landmarks, including the gorgeous Gothic revival St. Fin Barr’s Cathedral, with its spiking spires and grimacing gargoyles, as well as the Tower at the Church of St. Anne, considered a symbol of the city-look for the 11-foot weather vane, a salmon, at the top. You’re also five miles away from the Blarney Castle. Head to the top of the castle and kiss the world-famous Blarney Stone while lying on your back with your head tilted backward. Doing so gives you the gift of the gab, or the gift of eloquent speech. DARTMOUTH, ENGLAND – Welcome to the beautiful town of Dartmouth in South Devon. Situated on the banks of the picturesque River Dart, it’s the perfect year round destination for a short break, day visit or holiday. 13-Day cruise aboard Norwegian SPIRIT. All above fares are subject to change without notice.